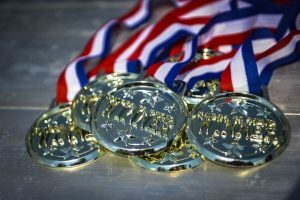 Go for gold at St Joseph’s Olympics sport’s day! Active Sefton is working with St Joseph’s in Formby to launch this year’s Team GB Olympic Sports Day. The sports day will take place at Fernley Resource Centre, St Josephs, Blundell Avenue in Formby on Friday July 20, 10am-4pm. The event is open to all adults with disabilities, anybody aged over 50 living with dementia and their carers. A huge range of sporting events are set to take place including wheels for all music to movement, seated volleyball, javelin, archery, tug of war and lots more! All the activities are fully inclusive and the day is non-competitive with a huge focus on fun and engagement. Activities, a BBQ lunch, certificates and a medal are all included in the £7 entry fee which can be paid on the day, however places must be booked in advance.